You will have opportunity of totally 'hands-on' work, sometimes armsfull of monkeys! 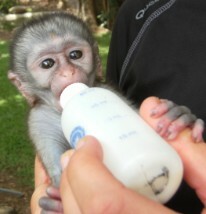 Bottle feeding an orphaned baby vervet monkey. 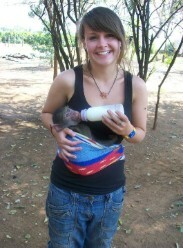 Baboon 'mom' for the day means that you might have to learn how to carry 'your' baby and also have your hands free! 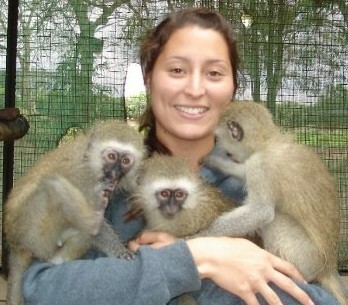 Baby vervet monkey hand, compared to human hand - they trust us not to harm them!